Throughout the academic year, the Community Trust host various competitions/festivals for young people to participate in. This allows pupils to represent their school, and potentially the town of Blackpool. This is a national football competition for Year 5 and 6, where all Blackpool primary schools are invited to attend. 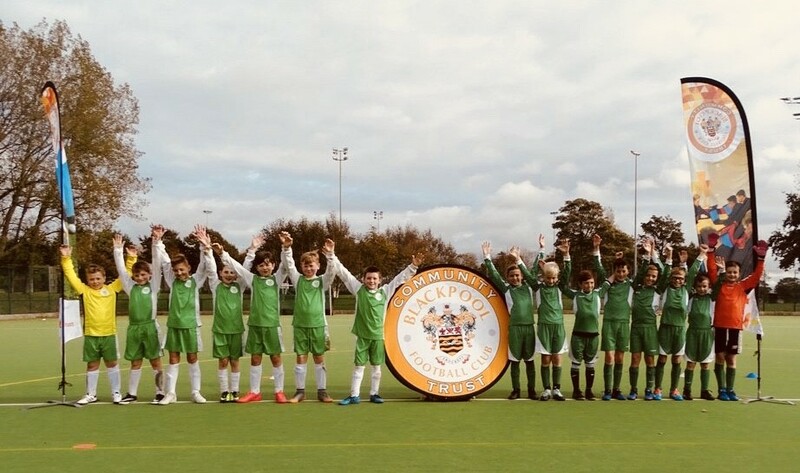 The winners of this competition go on to represent Blackpool FC Community Trust in the North Regional competition, where the winner then gets to play on the hallowed turf of Wembley prior to the League 2 playoff final! All Blackpool primary schools are invited to bring two teams of Key Stage 1 pupils (one team of Year 1 pupils and one team of Year 2 pupils) to take part in football matches and other various football activities on the Bloomfield Road pitch. To find out how your school can get involved in these fantastic opportunities, contact the Community Trust!